Sew what's cooking with Joan! 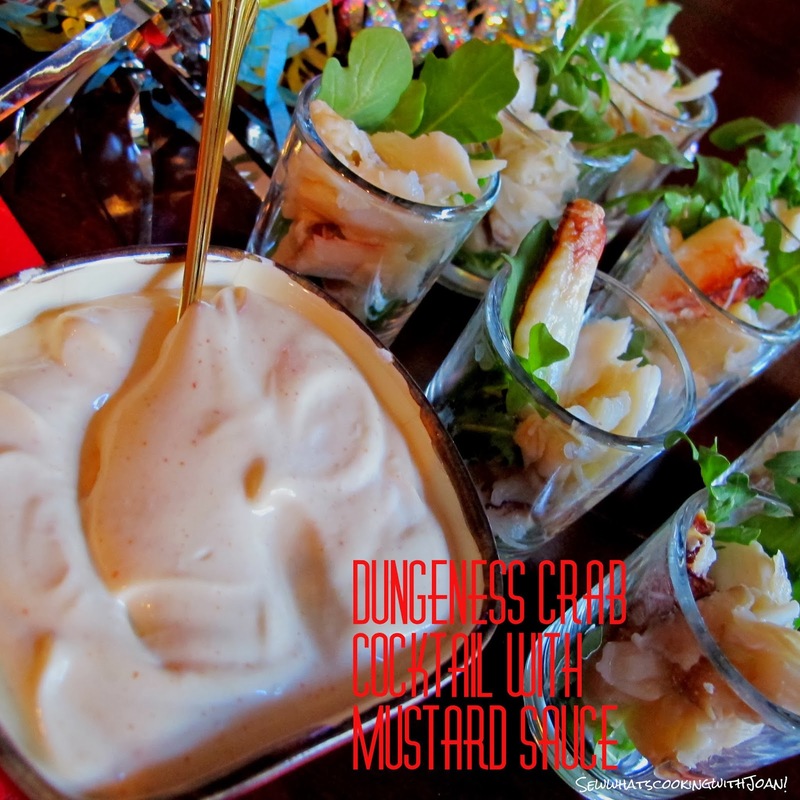 : Dungeness Crab Cocktail with mustard sauce! 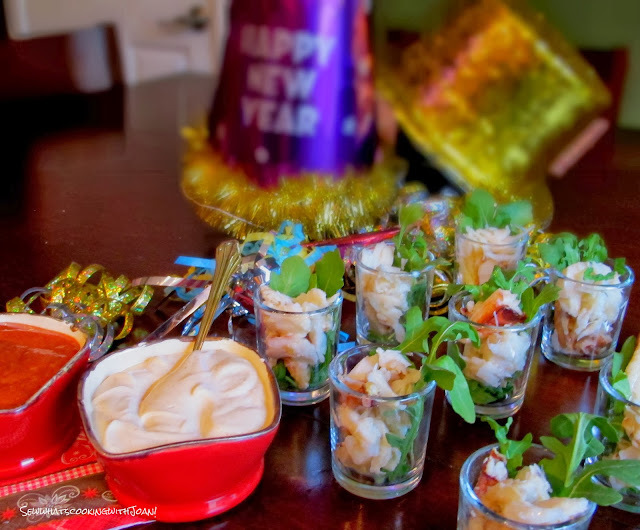 Perfect for your New Years Eve or New Years Day dinner! My daughter hosted Christmas day dinner this year and asked me to make a few starters. 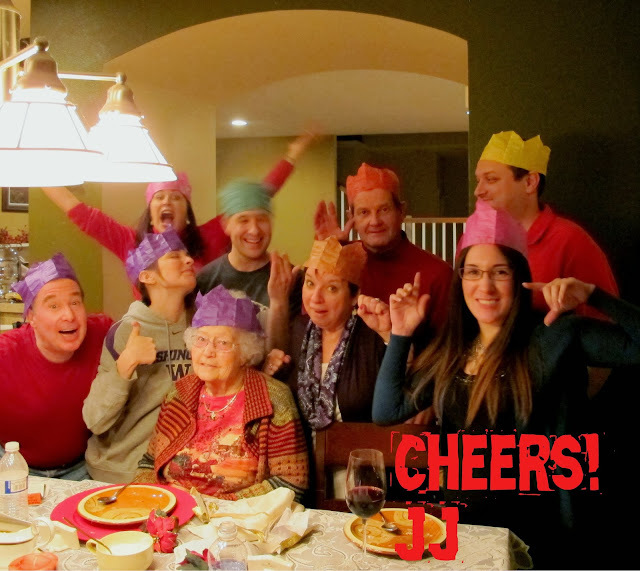 Thinking over the last few years of Christmas dinner, and remembering being pretty full with appetizers by the time dinner was served....because they are just too yummy to pass up! I thought to make lighter choices. I ordered my Dungeness crab at Freshies, here on Mercer Island, Washington state. When Wee Bear went to pick up the crab, they shelled it right then and there!! So fresh, so sweet and delicious, nothing compares to fresh Dungeness crab! I served in a small glass shooter style vessel with a tiny seafood fork. Or, for a casual option, a large party or just to save on time cleaning up, plastic wine glasses, with the detachable bases works well too! It's beautiful, totally light and incredibly delicious. There is no cooking involved in this mustard sauce recipe! It is so quick and easy! Just use freshest ingredient's available! Whisk all the ingredients together. If possible make a day ahead, to give the ingredients a chance to meld. I offered the optional traditional cocktail sauce too! Never a dull moment in my family! We always have so much fun together!